I did a search for this, and haven't seen anyone with my issue as of yet. I have paired my phone with my car with no problems, and have even listened to Pandora seamlessly with no issues. My issue involves the lock screen which interferes with Pandora. As of now my lock screen style under the Personalize folder is set to "no lock screen". Reason being is that if I set my lock screen to anything different, Pandora will stop playing in my car. Is there a setting that I am missing that can have Pandora play, and also have the lock screen on? Remember I am playing Pandora via bluetooth. That's weird. 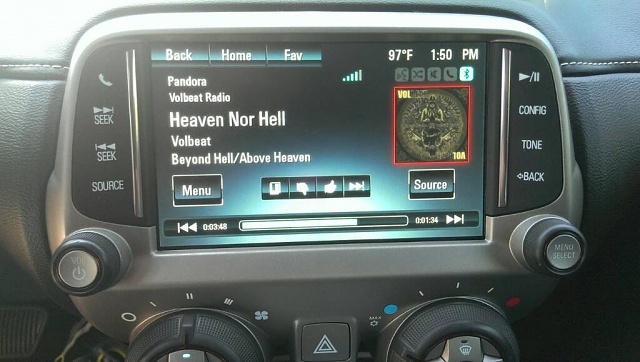 I stream Pandora via bluetooth in my car all the time with a lockscreen without issue. There is even a lockscreen control widget that pops up. There is a setting in Pandora for "bluetooth for automotive", I'm not sure what it actually does, but mine is checked. Try that and see what happens. Also, do other bluetooth devices work? Both conserve battery and bluetooth are both checked. Where can I find this widget? I'm a noob at this being a Blackberry user for a long time. Ok I think I found the problem. My car (Camaro) uses Mylink, which uses a special Pandora button. I think this is causing issues with the lock screen. It also has a separate Bluetooth audio button which does not cause any issues. I guess I will live with not using a lock screen as the Pandora button allows you to see the song and all other information on the cars Mylink touch screen instead of on the phone. A very awesome feature! Mark under the glass of the screen.